The use of hydro-massage, allows you to fully relax your muscles and escape the stresses of everyday life, whilst immersing yourself in ultimate luxury. The feeling of bubbles massaging your body, combined with aromatherapy products will leave you feeling refreshed and invigorated. At Platinum Hot Tubs Essex, we can provide you with a range of quality hydrotherapy options to help you achieve a full body massage. It is recommended that you spent at least 15-20 minutes in your hot tub, twice a week to fully reap the benefits. Hydrotherapy sessions will start to kick in within 5-10 minutes so a full 20 minutes will ensure your body is fully treated. One of the brilliant features that a hot tub has to offer, is the ability to have hydrotherapy from your own home. This saves you having to book sessions at a spa or having to travel. The heat and bubbles from the water act as a natural pain reliever. The two combined can relax and loosen all your muscles. The feeling of weightlessness eases tension and everyday stresses. The temperature from the water helps to increase your blood flow which will enhance your body’s circulation. This helps to repair any injuries or muscle damage as good circulation is a natural way to heal your joints and muscles. Relaxing in a hot tub is a natural way to significantly boost your immune system. A fluid called lymph is present in your body which bathes your tissues and helps to get rid of any unwanted materials. Hydrotherapy will help the lymph to travel throughout your body as the heat and massaging jets stimulate white blood cells. This helps your body to build up a stronger immune system, thus fighting of illness and viruses. The heat from hot tub water is a great way to detoxify your body. The temperature helps you to sweat out any toxins through your skin, leaving you feeling fresh and revitalised. Bathing in your hot tub can help you ease away the stresses of everyday life. The massaging jets can help to ease tension and release natural endorphins, which aid you to thoroughly de-stress. As well as helping you to relax, a hot tub can also be used to do exercise. It is a good way to work out in the comfort of your own home. There are a few ways that you can exercise in a hot tub. Abdominal exercises are done by leaning back against the hot tub and breathing in and out slowly. This technique helps your abdominal muscles to contract. Build up the amount of times you do it at each session to get optimal results. Simple leg exercises consist of, leaning back and bringing your leg up to your body slowly and then extending it. Repeat this several times and build up the amount at each session. Lay back against the hot tub and rotate your shoulders in circular motions whilst breathing in and out slowly. Pause between each set and repeat. Slowly build it up between sessions.  At Platinum Hot Tubs Essex, we understand the importance of thoroughly enjoying your hot tub and maximising it’s benefits. Therefore, we provide you with valuable information on your hydrotherapy options and excellent customer service. If you would like to know more about hydrotherapy or ways to gain the full benefits of hot tub use, then please don’t hesitate to contact us. You can also view our premium range of hot tubs in our stunning showroom. We look forward to hearing from you.